Optimally meets the requirements of everyday professional life. The PowerWave® Technology in the cushion layer of the foot orthosis supports the natural heel-to-toe movement of the foot. The soft materials provide maximum cushioning for your step, while the rigid materials guide and support the foot where needed. Pressure is relieved, both on the feet and on the entire musculoskeletal and locomotor system.The foot orthosis optimally meets the requirements of everyday professional life. 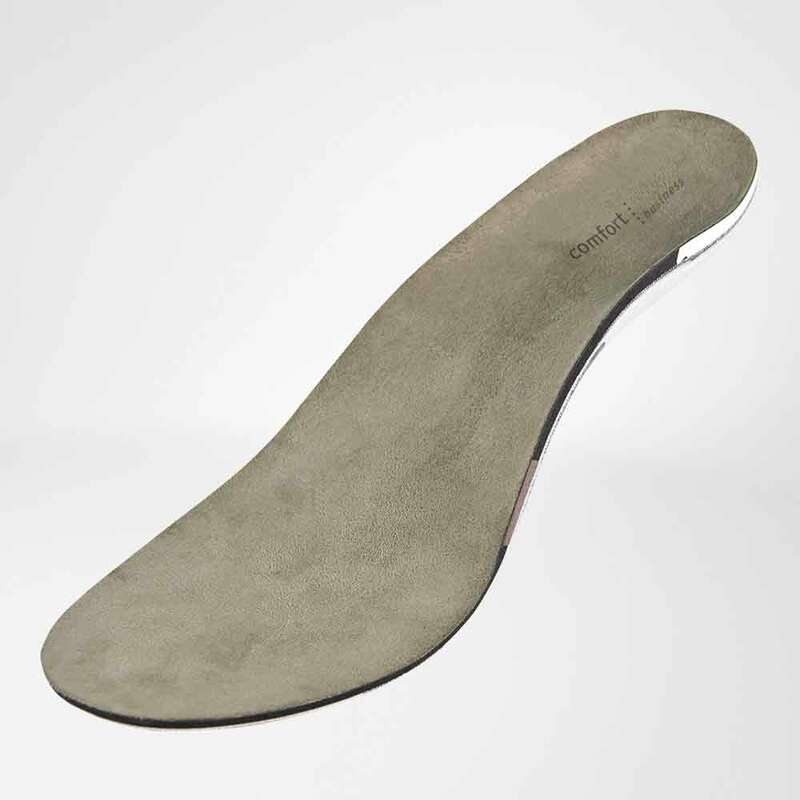 The effect of the orthopedic foot orthosis is particularly noticeable if you regularly stand and walk on hard floors. For low cut business shoes, a specially slim design of the comfort business is available without a cushion layer. The foot orthosis can be fitted quickly and easily in these shoes, provided that they have a removable sole with a thickness of approx. 3 mm and a corresponding width. Indications: Flat foot/splayfoot, Pes valgus, Mild and moderate severity of hollow foot, Post-traumatic foot deformities, Achilles tendon complaints, Knee joint/back pain.